Home CARS Christmas Tree Strapped On A Challenger Hellcat Widebody – 174MPH! Christmas Tree Strapped On A Challenger Hellcat Widebody – 174MPH! Hennessey Performance embraces the Christmas spirit and decided to do one very entertaining stunt in the name of Christmas. By doing this stunt they actually introduced the world’s fastest Christmas tree. 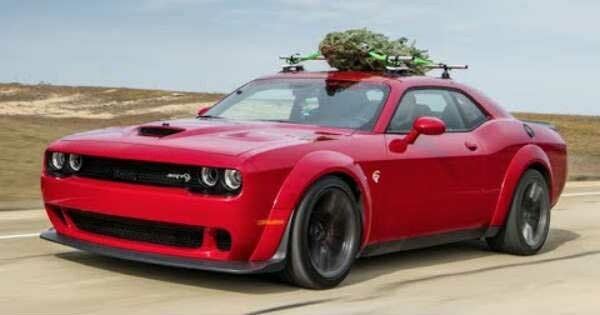 This Christmas tree is strapped to a Challenger Hellcat Widebody. The concept of this stunt is almost a visual cliché. A vehicle with a big and beautiful Christmas tree lovingly strapped to the roof, rolling through a beautiful snowy landscape and taking an entire family of Christmas revelers to some welcoming, warm holiday scene. However, John Hennessey, the gearhead that he is, has a different take on this notion. 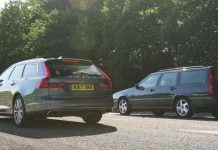 His take involves a 707HP supercharged V8 and a full throttle. 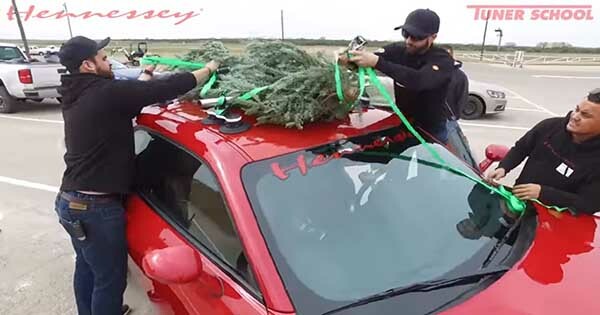 Hennessey Performance actually took a 2018 Challenger Hellcat Widebody and strapped a big Christmas tree to its roof. Afterwards he went to the company’s high-speed oval in Texas. The result of this stunt is a few lost tree branches with a lot of fuel burned. This is Hennessey’s notion of a red sleight that managed to hit 174 mph. Just watch the Hellcat’s fuel gauge dropping visibly during the high-speed run with a Christmas tree on the roof. 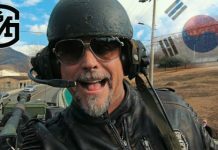 However, these stunts are slowly becoming a trend amongst gearheads. 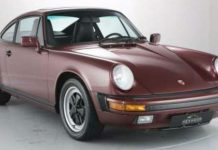 Owners of many exotic vehicles enjoy demonstrating the practicality of their vehicles by using these cars for such purposes. A recent example of this kind comes from a car from the likes of a McLaren F1 GTR. 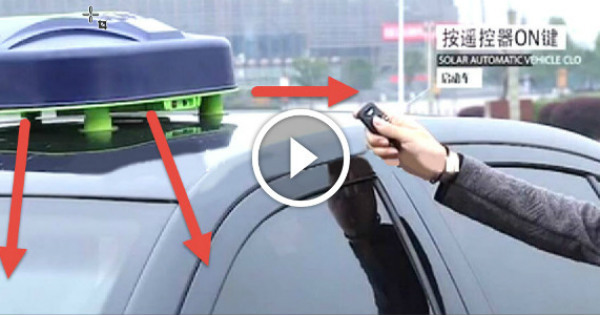 However, the Widebody in the video below managed to break a world record. Unfortunately, they didn’t bother to call a GWR representative. Finally, all you need to know about the 2018 Challenger Hellcat WB! Previous articleOff-Roading With Mercedes-Benz Trucks! Next articleThis Guy Found His Mom’s Stolen Truck! Land Rover Power – Conquering Holes Like A Boss! 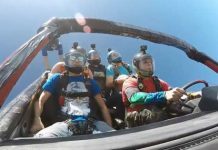 Want A Ride In The Skydiving Car? 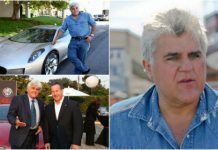 Jay Leno : Short Biography & Career Highlights! Sad News! 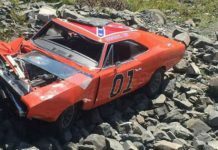 General Lee Car Crashed in Nova Scotia! DRAG RACE: AUDI R8 V10 PLUS VS TESLA MODEL S P100D!